I visited an artisan of echizen uruchi(Japanese lacquer) on the othreday. Please take a look at making process as well. Echizen in Fukui prefecture is a representative traditional handcraft district of Japan for artifacts. 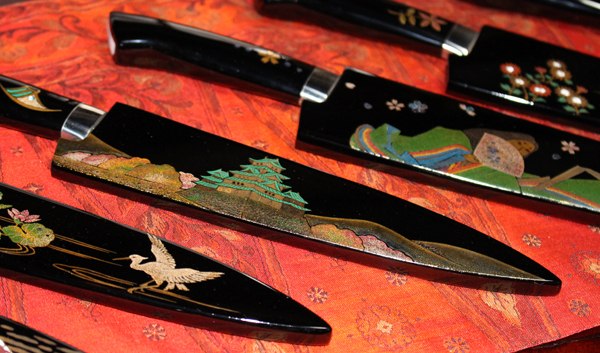 Echizen chef knife, echizen paper and echizen pottery are well known products in the world. 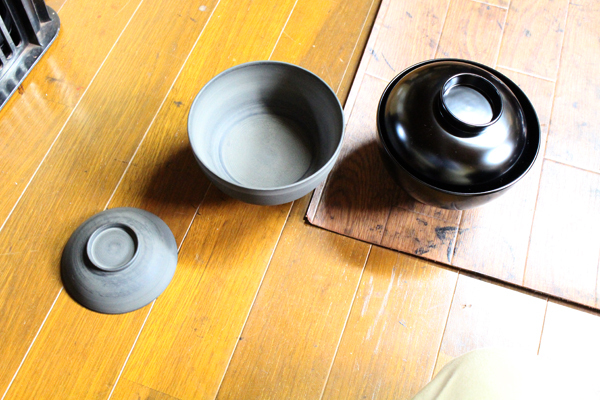 The process of making echizen urushi is divided. Each process is taken care by skilled artisan such as woodworkers, lacquers and painters. By applying lacquer onto a product layer by layer creats excellent strength and beauty. In Echizen, the operation, after drying coated lacquer, grinding to smooth the surface and then applying lacquer again, is repeated 8-9 times. Please take a look at the last coating movie by Mr. Nobuo Kajiwara, one of the artisan of Echizen urushi. Since lacquer is solidified with taking the moisture in the air, not just dried, the process is held in a room in which the temperature and humidity are managed. At the same time, the lacqerer wears a cloth prevented dust and keep the room clean because it’s difficult to remove a speck of dust. It is frequently asked, the color of lacquer isn’t made of chemical substances. red iron oxide. The colors are not something making of chemical substances which you can just order from a standard color sample but excellent brightness, fineness and warmful soft texture. Makie is one of the main technique of Japanese lacquer art. Delicated patterns are created with paint/design with lacquer by brush and then sprinkle gold colored powder. Please take a look at the process of lacquering to sheath of Japanese knife which is made by Mr. Koichiro Tsukada known globally as a distinguished blacksmith in Echizen. Chinkin, hand carved gold engraving pattern is the major technique of Japanese lacquer art. (The Japan Fine Arts Exhibition, the most popular of all Japanese art organizations).